This project comprises the strip out and conversion of 20,000sqft offices into 83 student studios and social hub for Reading University, as well as partial demolition of a landscaped deck above basement level to create a light well. The building is a five minute walk to Reading University. The facility will cater for: ensuite bathrooms and double beds to each studio; private courtyards; private gym; on-site cinema; garden/ courtyard; work/ reading room. 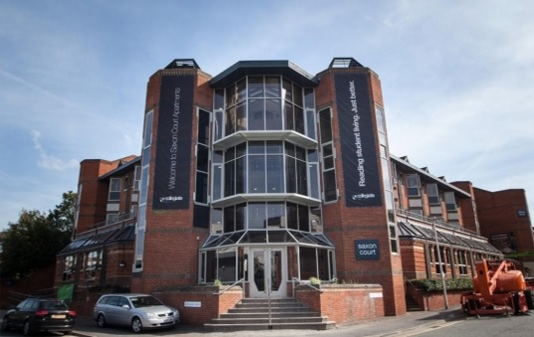 For this proposed office conversion, Fellows Construction Consultants provided pre-contract cost management services, proactively helping Shaylor Group to appropriately consider all of the key cost and risk considerations associated with converting a commercial premises into residential dwellings. This included the costs associated with upgrading St Giles House to comply with building regulations, fire regulations and achieving the requirements of the structural warranty requested by Reading University.